Will records fall in the pursuit of the Grail of Trail. Wind pushed and pulled at our jackets whilst water slid down my neck. Runners stood in small clusters or on their own. Nervous, excited, confident – the emotions were as varied as they were palatable. In groups of four the runners were called forward, given their countdown and sent on their way. Those left were eagerly waiting their turn. Running in rain is far more preferable to standing in the rain. Their race would begin and the cold and rain would fade into the background. With jealous eyes I watched as the last few runners set off before making a dash for my chalet. A knee injury was preventing me from competing and I desperately wanted to be part of the experience. Next year I kept repeating. Next year, fitter stronger faster. Well it’s now next year and oops fitter, stronger, faster will have to be …..next year. But I still hope to be lining up with men and women running Retto 2016. It’s too much of a privilege not to. Marc Lauenstein will be back and almost everyone will be wondering if he can repeat his performance of last year. 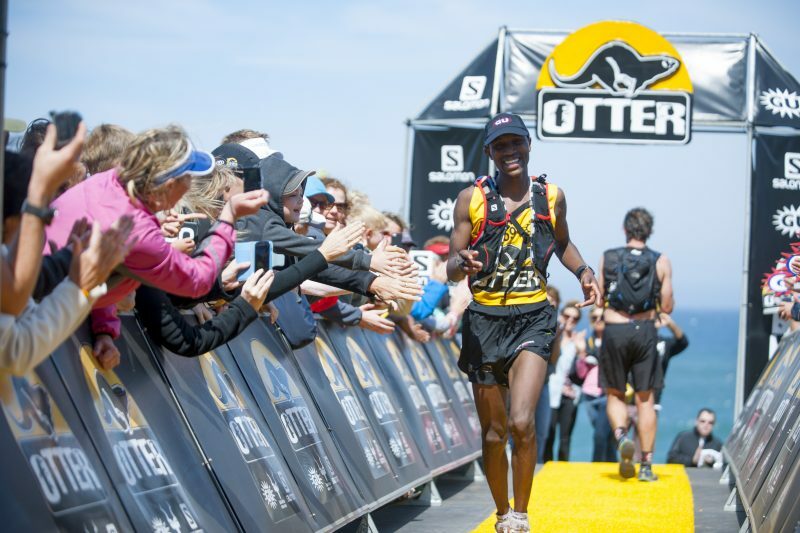 His record breaking run, finishing in 3hrs 59minutes was spectacular. This year he will have the benefit of knowing what the trail is going to dish up in terms of technicality, ascents, descents and of course incredible views. But running it from west to east may throw a spanner in the works. Which is tougher? Short answer I really don’t know, there are so many variables that could come into play. Conditioning and training, nutrition, state of mind, weather and those all too few occasions when it all just comes together. For certain with the Retto pacing is crucial – the second half of the race throws in a number of massive climbs and of course the most technical section over rocks and boulders lies in the last 3 km’s. I remember those climbs hit me hard and quad cramp was always just one step away. If your nutrition and water intake has not been well managed up to this point you are going to feel it. Some broad advice, manage your race right from the beginning. Although Marc’s race will be eagerly followed by many it’s the ladies race that could be the surprise. With accomplished athletes the likes of Stevie Kremer, Tish Jones, Katya Soggot, Nicolette Griffioen, Meg Meckenzie, Kerry-Ann Marshall and Robyn Owen there is competition galore. Which of these ladies will be standing on the podium is an interesting question. Some of them have run this event before, both the Classic and the Retto whilst for others it will be new territory. For the Retto the ladies winning time, held by Landie Greyling was set in 2014 and stands at 05:11:46, closely followed by Nicolette Griffioen at 05:14:32. Winning times for the Classic are slightly faster with Ruby Muir from New Zealand holding the ladies record at 4:55:48 and Landie close behind on 4:59:09. Will one of these talented ladies be the first to run under five hours for the Retto? Time will tell and I for one am backing them to do it. Retto 2016 promises to be a passion and talent filled event with the potential for history to be made…again.